A cool RFID music table has been created using Arduino, iPod and RFID tags to make it easy to change albums by simply changing the RFID tag. Each RFID tag has an individual code number relating the album and tracks on it which is them played from a connected iPod. The design has been created for a disabled child who has trouble loading disks in to CD players and navigating menus using small buttons on mp3 players. To understand exactly how the concept works watch the video after the jump to see it in action. 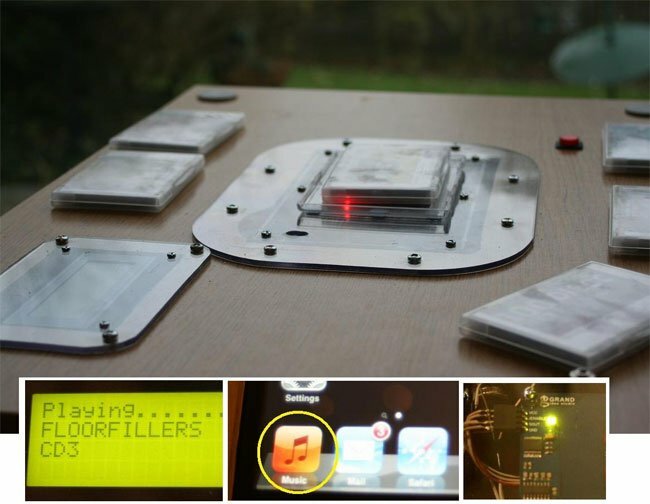 The music table uses a Arduino microcontroller which communicates with an iPod Touch using the serial protocol used by accessories such as media player docking stations. For full instructions on how to create your own jump over to the Instructables website.